Key West is a small island compared to other world class destinations. The island may be small in size but it's large in stature when it comes to entertainment and things to do, which is part of it's allure. Key West features a fantastic selection of attractions and things to do. There's plenty of attractions to entertain the entire family. Let our attractions guide help you decide the right activities to help make your vacation a smashing success. If you're new to Key West we have assembled a list of the islands most popular attractions and activities to help you decide on how you might best spend your vacation time. 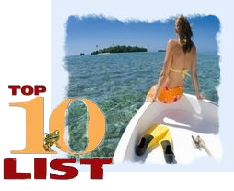 To find the most popular attractions be sure to check out our list of the top ten attractions in Key West. There is almost always an event or festival taking place such as Fantasy Fest, which is by a mile the islands biggest and most popular annual event. Two of the bigger events include Hemingway Days in July and Jimmy Buffett's meeting of the minds which is held each year in November. Other attractions would include any one of the numerous fishing events held throughout the year. Two of the more popular attractions are a Key West dinner cruise or a Key West sunset cruise. You can experience the island's majestic beauty at any one of the numerous reefs surrounding this island paradise. Or you can enjoy a fabulous sunset aboard an authentic 18th century sailing ship. Other popular island attractions you'll want to consider if you seek adventure is an awesome Key West snorkeling or jet ski adventure. The Florida Keys with it's abundance of offshore reefs offers one of the best locations in the U.S. outside of Hawaii to experience world class snorkeling. The islands largest watersport company, Sunset Watersports, offers a huge variety of watersport activities including snorkeling adventures. Sunset also offers an inexpensive group reef snorkeling trip that takes you out to the world famous reef for just $40 which is a great bargain. Sunset also offers boat and jet ski rentals and a dozen other watersport activities. Sunset offers one of the best deals you will find on the island with their all day adventure package. They feature twelve different and fun watersport adventures for as low as $109, it's a super deal. Rentals & the Best Boat Rental Prices . Key West kayaking is also at the top of the list when it comes to popular attractions. The shallow waters surrounding the islands of the lower keys makes kayaking one of the areas top activities. You should consider renting a kayak or paddle board to fully take advantage of the pristine beauty that this island paradise has to offer. Guided tours are also an option with most of the kayak rental companies if exploring on your own isn't for you. For kayak rentals we highly recommend the Lazy Dog, mainly due to their good location. They are located in close proximity to the many mangroves that surround the island. You will find them just over the bridge on Stock Island. If you like fishing then look no further than to spend a day on the open seas with a Key West party boat fishing excursion. Party boat fishing is hands down the most affordable fishing option you will find on the island. Basically you share the cost of the trip with a number of other people. You can spend the day fishing for one tenth the cost a private charter would cost you. Usually these boats will only have half the number of people or less than they can hold so overcrowding is normally a non issue. The best fishing bargain in Key West! Another very popular Key West attraction is a dolphin tour. A Key West dolphin encounter tour will give you a great opportunity to observe wild dolphins in their natural surroundings. 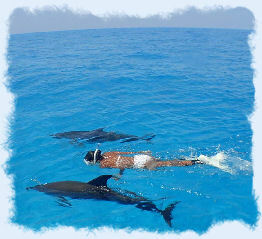 A Dolphin tour will give you a great chance to get up close and personal with the dolphins. The tour boats will take you out to one of the many reefs where you will see the dolphins many times showing off for the crowd. The kids will love this tour. Another tour that gives you the opportunity to observe dolphins and other marine creatures is the popular Key West Eco Tour. The eco tours will take you to some amazing and beautiful island locations where you will have a good chance of a dolphin encounter. Most of the kayak eco tours will take you to the more remote shallow back country areas and mangrove forests. 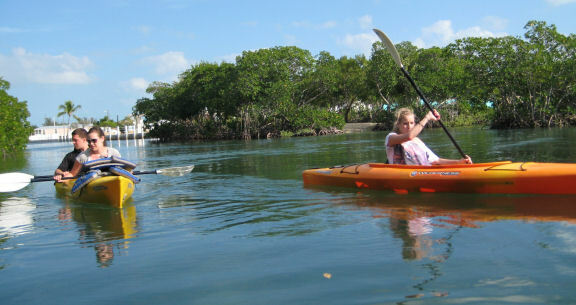 Kayak the remote back country areas of the lower Keys with an eco tour. 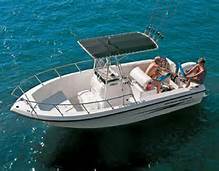 Enjoy your own private snorkel adventure or fishing trip with a Key West Boat Rental. For anyone that's an experienced boater there may be no other Key West activity that will make your trip a smashing success! Nothing beats a day cruising around the crystal clear waters of the Florida Keys in your own private boat rental. You can spend the day snorkeling at any number of pristine back country area beaches or remote islands. 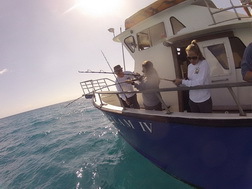 You may also want to spend a day on the water taking advantage of the world class fishing that Key West has to offer. Your own private boat rental also gives you the option to dive for the many lobsters that inhabit the islands. Sunset Watersports offers some of the best deals we've found for boat rentals with their assortment of newer boats. If you're not into snorkeling or diving you can still experience some of the thrill of an underwater adventure, by viewing the islands abundant ocean critters on a Key West glass bottomed boat tours. The tours will take you out to one of the area reefs where you will get a ringside seat to view the marine life in the clear waters of the gulf. View the underwater marine life from the comfort of an air conditioned glass bottom boat tour. There are many beaches to explore on the island and we have assemble a Key West beach guide with reviews for your convenience to help you determine which beach best suits your needs. Some of the beaches are better suited for activities such as snorkeling. Smathers beach is probably considered the best beach with all it's water sport concessions and activities. It's also the largest beach in Key West. 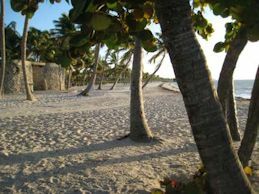 The Fort Zachary Taylor Beach is considered the quietest but is also considered one of the top choices for the best beaches list. You may want to visit them all. Be sure to check out our Key West Beach Guide to help you decide which beach is right for you. Seventy miles to the west of Key's, lie seven remotely located islands with pristine white sand beaches called the Dry Tortugas. The Dry Tortugas is now a National Park that has a rich history with both the early U.S. Navy and Pirates that sailed the Caribbean. Unforgettable scenery awaits you on this most memorable trip to the Dry Tortugas National Park and historic Fort Jefferson. There are a number of ferry services that will take to to the Tortugas for the day or for an overnight Dry Tortugas camping trip for a reasonable fee. The Florida Keys is known for it's World Class Fishing and there are many private charters that will give you a great fishing experience. The lower Key's is particularly known for it's world class flats fishing for both bone fish and tarpon. There are plenty of Key West fishing charters waiting to assist your in your trip of a lifetime. Key West deep sea fishing charters are also numerous and popular in the lower Keys. Ernest Hemingway helped make the island famous in his pursuit of the gigantic Blue Marlin which the lower Key's is noted for. The lower Keys offers some of the best ocean fishing to be found anywhere in the world! Since we are on the subject of Tarpon you may also want to watch the daily feeding of the Tarpon which takes place everyday around 4:00 by the Commodore's restaurant. It's worth seeing at least once. After watching the Tarpon feeding you will also want to take advantage of the many fantastic happy hour specials offered by the restaurants along the harbor. The ambiance at any of the restaurants located along the harbor walk at the Old Historic Seaport are second to none! Our favorite restaurant is Commodores which is located at the Historic Old Seaport. Commodore's features the best happy hour of all the restaurants we've checked out in Key West. They feature a great selection of half priced appetizers and drinks daily from 4:00 until 6:00. They have some of the best seafood appetizers you'll find on the island. The Old Seaport has one of the neatest board walks you will find anywhere. It connects to all the restaurants that line the harbor. Be sure to check it out! When planning your trip you may also want to take advantage of some great travel websites like Frommers or Trip Advisor to help you with your planning phase. 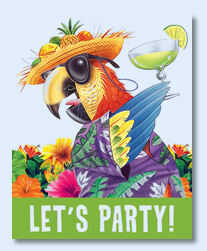 We know you'll certainly enjoy your time as a guest at our vacation rental at the 1800 Atlantic condos. Discover for yourself why we're such a better value than a tiny hotel or villa rental.